breath * life * flow: walking streets - manhattan avenue, manhattan beach, ca. walking streets - manhattan avenue, manhattan beach, ca. i'm not familar with the hamlet that is manhattan beach but i've heard so many great things, i asked tyler to take us on a little walkabout. appreciating the treasures you have in your own backyard can make for a wonderful and grateful way to spend a day. downtown manhattan beach is minutes away from my home but i always find something new to love... when i have out of town guests they often express how much they love it, too. come visit me! first stop? a glass of chilled rosé and oysters! open just over a year (and already named best oyster bar by los angeles magazine) chef david lefevre's fishing with dynamite is the ideal lunch stop. nestled in an architectually cool and cozy space the fresh, incredible menu, sunny staff and energizing playlist sets the tone for the day. if i have enough willpower to pass up the pretzel and chocolate bread pudding with a salted caramel sauce and vanilla ice cream (yes, this really exists so why should you pass it up?) i'll pop into the manhattan beach creamery for a little treat. it's a kids' dream come true (or a kid at heart with a sweet tooth). plus i can't resist a chandelier & pom pom covered ceiling! beach town, beach reads. i could spend hours in a bookstore and particularly love small, independent gems. behind its dutch doors, pages' philosophy is "where reading, meeting and discussing books is a way of life." reading on the beach means a hat is a must and i love to pick these up at aviator nation - vintage california! 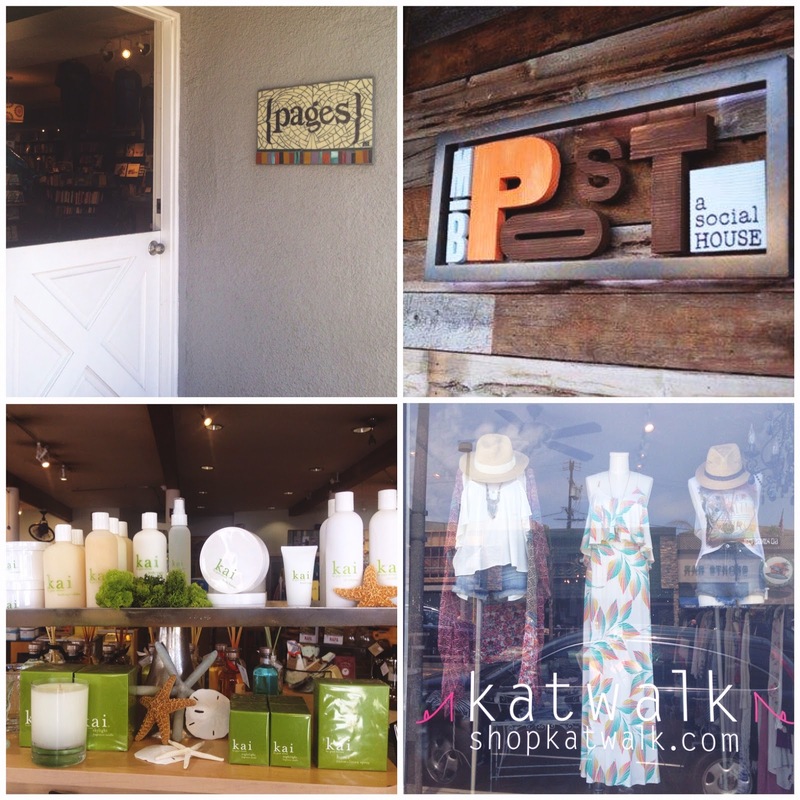 from there i'll cross the street to tabula rasa, a boutique that is the heart and soul of manhattan beach. as gaye noted, "tabula rasa is the quintessential beach boutique; the vibe makes for a fantastic home for kai - and has for years." it's impossible to leave here without something for your home or a perfect gift and the kai display is always so lovely, thanks to even lovelier owner, maureen. hungry after all that meandering? my favorite is an afternoon charcuterie plate at mb post. always seasonal and creative, you will want to stay for dinner and the atmostphere can't be beat - particularly on a warm evening when the doors are open to the avenue and the soft beach air. side note: take a turn off manhattan ave. and head up manhattan beach blvd. to beach chic boutique katwalk. it's not an exaggeration to say i am complimented every time i wear something or accessorize with a new find from katwalk. tell the beautiful owner, kat, i sent you! *my ideal way to end the day is with a long walk down the strand. georgia would agree!